Mifare Reader RC522 adalah alat yang boleh read dan write ke dalam Mifare Card. Ia menggunakan frequency 13.56MHz. Mifare Reader yang lain adalah CR038. 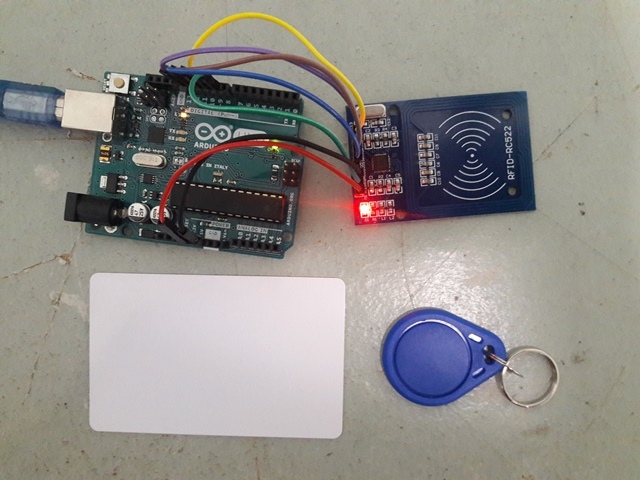 Berikut adalah demo Mifare Reader RC522. Hi. I would like to know on how to connect this project to mySQL database. Can u please teach me? I’ve already done the hardware part and tried to run it. It works just fine:) thank you. I’m not teach personal. Required 5-10 people to do teaching session. Can contact here http://shahrulnizam.com/about/ for waiting list.